Here are routines that can handle date arithmetic on BC dates, Julian day functions, and simulation of Oracle's support of old-style-calendar dates -- including simulation of an Oracle bug. So the routines are good for extending the range of useable dates, compact storage, and import/export between DBMSs that have different rules. If you need to refresh your understanding of dates, read our old-but-lovely article first: The Oracle Calendar. yyyy-mm-dd [BC] ... CHAR|VARCHAR. yyyy-mm-dd is the standard date format for year and month and date, optionally followed by a space and 'BC'. If 'BC' is missing, 'AD' is assumed. Must be between 4713-01-01 BC and 9999-12-31 for Julian-calendar dates, or between 4714-11-24 BC and 9999-12-31 for Gregorian-calendar dates. Routines will return bad results if dates are invalid, if there is any doubt then run ocelot_date_validate() first. julian_day ... INTEGER. For an explanation of what a "Julian day number" is, see Wikipedia. Do not confuse with "Julian-calendar date" -- the name is similar but Julian days can be converted to or from dates in the Gregorian calendar too. Must be between 0 (which is 4713-01-01 BC) and a maximum (which is 9999-12-31). 'J' or 'G' or 'O' ... CHAR. This is an "options" flag. 'J' means use the Julian (old style) calendar. 'G' means use the Gregorian (new style) calendar. 'O' means use the Oracle rules, which we described in the earlier article. If options is not 'J' or 'G' or 'O', 'G' is assumed. The code is original but the general idea is not -- I gratefully acknowledge Peter Baum's 1998 article "Date Algorithms". 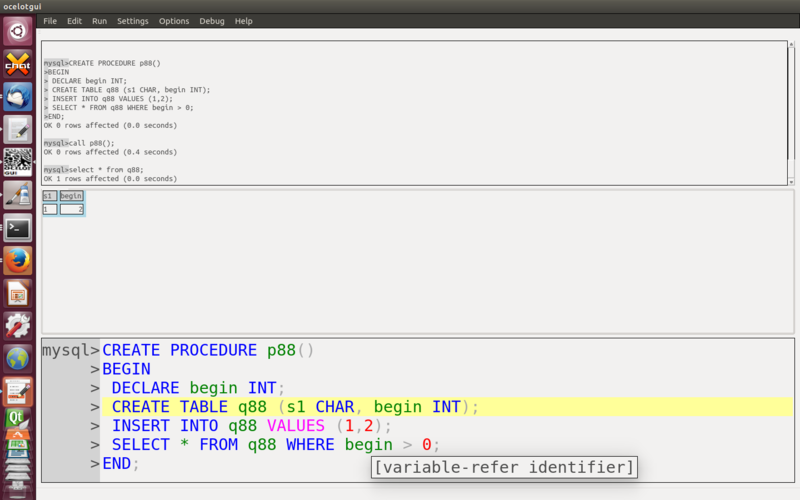 I use the Ocelot GUI (ocelotgui) when I write routines for MySQL/MariaDB. Since it recognizes all their syntax quirks it can give me hints when I'm typing something wrong, and saves me from the hassles of "delimiter". And it has a debugger. Version 1.0.8 was released yesterday for download via github. I start with a standard 2-clause BSD license and then show the CREATE statements for each routine. To install: just cut-and-paste what follows this paragraph until the end of this section. If you are not using ocelotgui you will have to say DELIMITER // and put // at the end of each CREATE statement. Copyright (c) 2019 Ocelot Computer Services Inc. Format of first parameter is not 'yyyy-mm-dd' or 'yyyy-mm-dd BC'. Second parameter is not 'J' or 'G' or 'O'. Minimum date = 4713-01-01 BC if J, 4712-01-01 BC if O, 4714-11-14 BC if G.
If 'O': 0001-mm-dd BC, or between 1582-10-05 and 1582-10-14.
nnnn-02-29 if nnnn is not a leap year. Month not between 1 and 12. Day not between 1 and maximum for month. Results for positive Gregorian will be the same as MySQL/MariaDB datediff(). This is an extension of datediff() which works with BC Gregorian and other calendars. test is here to give assurance that the ocelot_date_to_julianday function is okay. Start with a counter integer = 0 and a yyyy-mm-dd BC date = the minimum for the calendar. call ocelot_date_to_julianday and check that it returns a value equal to the counter. Stop when date is 9999-12-31. For Oracle emulation we do not check dates which are invalid due to cutover or bugs. Bonus test: positive Gregorian dates must match MySQL|MariaDB datediff results. Bonus test: check validity of each incremented date. pgulutzan, January 9, 2019. Category: MySQL / MariaDB, Standard SQL. The following statement usually is valid and the function returns 1. But sometimes it is invalid and sometimes the function returns 0. First, consider that "||" is usually the same as "OR" because that's the default. But if sql_mode is 'ansi' and the DBMS is MySQL 8.0, then "||" is the operator for concatenating strings. So the meaning of the IF condition changes, and it becomes false. Second, consider that the function is written with SQL/PSM syntax. But if sql_mode is 'oracle' and the DBMS is MariaDB 10.3, then the function has to be written with PL/SQL syntax. And the requirements differ as soon as the word "RETURNS" comes along, so the result is a syntax error. Our lesson is: you can't know a statement's meaning if you don't know whether somebody said "SET sql_mode=..." earlier. Usually SET sql_mode is a DIRECTIVE with the same sense as "pragma" in C, it is telling the compiler or interpreter how to treat the syntax of following statements. And in fact Oracle and SQLite actually use the word "pragma" in that sense. I use C pragmas despite a nagging feeling that somewhere there is a jeremiad blog post about how they're as bad as goto and #ifndef, and I'll recommended certain sql_mode values enthusiastically. The only strong warning is: be consistent, so you don't end up with idiocy like my example above. The manuals' lists are more complete, but this list has more advice. Notice that critical information is missing in the 'ANSI' result -- information that would be necessary to reproduce the table correctly. So, although using standard SQL is good, the way to do it is by setting other SQL-mode settings that don't have such ugly side effects. TRADITIONAL: Don't avoid. This has very limited effect, it only "treats warnings as errors" if you're changing a database value, and it's only safe if you're using a storage engine that can do statement rollbacks, such as InnoDB. But most of the time it's good to disallow bad data, which is why it's "traditional" (which stands for "what everybody else has done for decades"). ALLOW_INVALID_DATES, Avoid. This made sense when the objective was to avoid "invalid data" errors because transactions were hard to roll back. That's less of a concern nowadays. ANSI_QUOTES. Probably don't avoid. If you frequently have single quotes inside string literals, such as "O'Hara", it's understandable that you'd want ANSI_QUOTES to be off. With ANSI_QUOTES on, you have to say 'O''Hara'' and it's possible to lose the duplicated '. But ANSI_QUOTES are standard SQL. HIGH_NOT_PRECEDENCE, NO_BACKSLASH_ESCAPES, NO_ZERO_DATE, NO_ZERO_IN_DATE, ONLY_FULL_GROUP_BY, PIPES_AS_CONCAT, REAL_AS_FLOAT. Don't avoid. 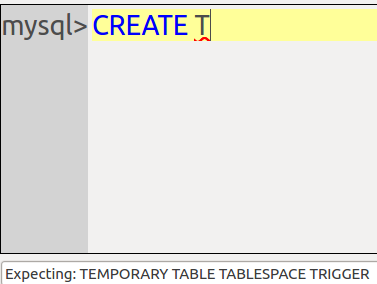 These are standard SQL. PAD_CHAR_TO_FULL_LENGTH, ERROR_FOR_DIVISION_BY_ZERO. Avoid in MySQL. They're deprecated. IGNORE_SPACE. Avoid. The effect on naming is too great, because so many new reserved words appear. NO_AUTO_VALUE_ON_ZERO. Avoid. This is a case where a non-standard feature can be treated in more than one way, so it's hard to care. SIMULTANEOUS_ASSIGNMENT. See my earlier blog post, The simultaneous_assignment mode in MariaDB 10.3.5. STRICT_ALL_TABLES + STRICT_TRANS_TABLES. Don't avoid. Perhaps you have some way of cleaning up messes after they're added, but setting is simpler. TIME_TRUNCATE_FRACTIONAL. Avoid but not forever. I hear from reliable sources that there is some strange behaviour that will be corrected real soon. DB2,MAXDB,MSSQL,MYSQL323,MYSQL40,ORACLE,POSTGRESQL, etc. Mostly avoid. These have disappeared in MySQL 8.0. They never delivered a serious amount of compatibility with other DBMSs. The only one that is worth any consideration is ORACLE in MariaDB 10.3, because it affects quite a few Oracle-related matters including PL/SQL support. The good news is that the setting is transient and local. By "transient" I mean its effect ends when the routine ends or the session ends. By "local" I mean changes won't affect other users whose sessions already started. And both these non-effects are good. Wouldn't it be awful if your SQL statements stopped working because you invoked a function that changed sql_mode, or because some other user on the system found a way to change it for everybody while they were online? Version 1.0.7 of our open-source ocelotgui MySQL/MariaDB client is out, and one of the features is that it recognizes all the current syntax of MySQL 8.0 and MariaDB 10.3, including the sql_mode bizarreness (though we can't get it right if the source value is a variable). That means that it won't get confused when parsing batches of SQL statements that include statements that change the dialect. The major feature is that the debugger can now debug routines written in MySQL 8.0, and routines written in MariaDB 10.3 with sql_mode=oracle -- that is, with PL/SQL syntax. As usual, download for various Linux distros and for Windows is via github. pgulutzan, September 5, 2018. Category: MySQL / MariaDB. In the 1990s C.J.Date said: "The rule by which it is determined within the standard that one key word needs to be reserved while another need not be is not clear to this writer." Nothing has changed since then, except there are more reserved words. No DBMS uses the standard list. So I think that it is probably best to know what words are reserved in product X that are not reserved in product Y. If you know, you can avoid syntax errors when you update or migrate. I'll present several comparisons, ending with a grand chart of all the reserved words in the standard and six current DBMSs. First here's a screenshot of ocelotgui where I'm hovering over the word BEGIN. What I'm illustrating is that you can't depend on intuition and assume BEGIN is reserved, but a GUI client can tell you from context: it's a declared variable. We said in SQL-99 Complete, Really: "[The standard] suggests that you include either a digit or an underline character in your regular identifiers and avoid names that begin with CURRENT_, SESSION_, SYSTEM_, or TIMEZONE_ and those that end with _LENGTH to avoid conflicts with reserved keywords added in future revisions." It's also good to avoid words that begin with SYS, or words that begin with the product name such as "IBM..." or "sql...". And of course it might also be good to use "delimiters", if you can avoid case-sensitivity confusions. My original reason for making lists was to answer some questions about Tarantool. I do some paid work for this group, including tutorials about SQL like this one. In a forthcoming post I will show why I believe that this product is far ahead of the others that I discussed in an earlier post, What's in the SQL of NoSQL and even has some useful characteristics that MySQL/MariaDB lack. Ocelot news: We have just uploaded a Windows version of the ocelotgui client, with an executable ocelotgui.exe static-linked to MariaDB Connector C and Qt. So it should be easy to download the release from github and run. See the windows.txt file on github for more explanation. Alpha. pgulutzan, November 3, 2017. Category: MySQL / MariaDB. In an earlier blog post I wrote "MySQL has far better support for character sets and collations than any other open-source DBMS, except sometimes MariaDB." That's no longer always true, because ICU. ICU -- International Components for Unicode -- was a Sun + IBM initiative that started over 20 years ago, and has become a major component of major products. The key advantage is that it provides a lax-licensed library that does all the work that's needed for the Unicode Collation ALgorithm and the CLDRs. No competitive products do that. When I was with MySQL we considered using ICU. We decided "no". We had good reasons then: it didn't do anything new for the major languages that we already handled well, it seemed to change frequently, we preferred to listen to our user base, there wasn't a big list of appropriate rules in a "Common Locale Data Repository" (CLDR) in those days, we expected it to be slow, we worried about the license, and it was quite large. But since then the world has moved on. ICU is an essential or an optional part of many products (they're listed on the ICU page in section "who uses"). So there's no problem finding it in Lucene, PHP 6, or a major Linux distro. But our main concern is DBMSs. (1) when the operating system is upgraded your indexes might become corrupt because now the keys aren't where they're supposed to be according to the OS's new rules, and you won't be warned. For a typical horror story see here. (2) libc had problems and it still does, for example see the bug report "strxfrm results do not match strcoll". (4) ORDER BY worked differently on Windows than on Linux. (5) Mac OS X in particular, and sometimes BSD, caused surprise when people found they lacked what libc had in Linux. Sample remarks: "you will have to realize that collations will not work on any BSD-ish OS (incl. OSX) for an UTF8 encoding. ", and "It works fine if you use the English language, or if you don't use utf-8." I've observed before that sometimes MySQL is more standards-compliant than PostgreSQL and this PostgreSQL behaviour is consistent with that observation. Although some people added or suggested ICU patches -- EnterpriseDB and Postgresapp come to mind -- those were improvements that didn't become part of the main line. In August 2016 a well-known PostgreSQL developer proposed a patch in a thread titled ICU integration. Many others jumped in with support or with rather intelligent criticisms. In March 2017 the well-known developer posted the dread word "Committed". Hurrahs followed. Sample remark: "Congratulations on getting this done. It's great work, and it'll make a whole class of potential bugs and platform portability warts go away if widely adopted." This doesn't destroy all of MySQL/MariaDB's advantages in the collation area -- a built-in bespoke routine will probably be faster than a generic one that's bloated with checks for things that will never happen, and PostgreSQL perhaps can't do case insensitive ordering without using upper(), and the ICU approach forces some hard trade-off decisions, as we'll see. But the boast "Only MySQL has consistent per-column collation support for multiple languages and multiple platforms" will lose sting. If MySQL and/or MariaDB decided to add ICU to their existing collation support, what problems would they face? The licence has changed recently, now it is a "Unicode license". You have to acknowledge the copyright and permission everywhere. It is compatible with GPL with some restrictions that shouldn't matter. So whatever license problems existed (I forget what they were) are gone. The Fedora .tgz file is 15MB, the Windows zip file is 36 MB. The executables are a bit smaller, but you get the idea -- it takes longer to download and takes more storage space. For SQLite this was frightening because its applications embed the library, but to others this doesn't look like a big deal in the era of multi-gigabyte disk drives. The other consideration is that the library might already be there -- it's optional for many Linux packages (I'd also seen a report that it would be the norm in FreeBSD 11 but I didn't find it in the release notes). According to ICU's own tests ICU can be faster than glibc. According to EnterpriseDB a sort or an index-build can be twice as fast with ICU as without it I'd be surprised if it ever beats MySQL/MariaDB's built-in code, but that's not a factor -- the built-in collations would stay. These tests just establish that the new improved ones would be at least passable. One of the PostgreSQL folks worried about ICU because the results coming from the DBMS might not match what the results would be if they used strcoll() in their C programs and lc in their directory searches. But I've never heard of anyone having a problem with this in MySQL, which has never used the same algorithms as strcoll(). If an open-source application comes via a distro, it might have to accept the ICU version that comes with the distro. That's caused problems for Firebird and it's caused fear that you can't bundle your own ICU ("RH [Red Hat] and Debian would instantly rip it out and replace it with their packaged ICU anyway" was one comment on the PostgreSQL thread). EnterpriseDB did bundle, but they had to, because RHEL 6 had a uselessly old (4.2) ICU version on it. Ordinarily this means that the DBMS vendor does not have total control over what ICU version it will use. If you can't bundle a specific version of ICU and freeze it, you have to worry: what if the collation rules change? I mentioned before how this frightened us MySQL oldies. For example, in early versions of the Unicode Collation Algorithm (what ICU implements), the Polish L-with-slash moved (ah, sweet memories of bygone bogus bug reports). and Upper(German Sharp S) changed (previously ß had no upper case). Such changes would have caused disasters if we'd used ICU in those days: indexes would have keys in the wrong order, CHECK clauses (if we'd had them) would have variable meaning, and some rows could be in different partitions. * Don't store weights (the equivalent of what strxfrm produces) as index keys. Other news: there is no new release of Ocelot's GUI client for MySQL + MariaDB (ocelotgui) this month, but a few program changes have been made for those who download the source from github. pgulutzan, April 11, 2017. Category: MySQL / MariaDB. First I will say what the comment syntax is for various vendors' dialects. Then I will get specific about some matters that specifically affect MySQL or MariaDB. The first column is for the type of DBMS. "Standard" is the ISO/IEC SQL standard document. For the others, just click on the DBMS name to see the relevant documentation. The standard, incidentally, clarifies that strings of comments are to be treated as a newline, so if you hear somebody say "comments are ignored", that's slightly wrong. Everyone supports simple comments, the only problem with MySQL/MariaDB is their insistence that the -- must be followed by a space. I've had it explained to me that otherwise the parser had problems. According to the standard document, bracketed comments are not mandatory, they are optional feature T351. However, it would be surprising to find a modern SQL implementation that doesn't support them. Notice how, in every row but the MySQL/MariaDB row, the key word is NO? In fact I've only encountered one other SQL DBMS that is octothorpophiliac: mSQL. Old-timers may recall that mSQL from Hughes Technologies was, for a while, an inspiration for one of MySQL's founders. Anyway, it's unnecessary because simple comments do the job just as well. as "feature requests" (here and here and here) and I approved of my colleagues' clear responses, it's low priority. Typically a hint is a suggestion for an optimizer, like "use index X instead of the default". It's found in Oracle; it's not found in PostgreSQL and some PostgreSQL folks don't like it; but it's found in EnterpriseDB's "advanced PostgreSQL"; and of course it's found in MySQL and MariaDB. A newish point is that MariaDB has an extra signal "/*M!###### MariaDB-specific code */" that MySQL won't recognize, which is a good thing since the optimizers have diverged somewhat. and a good question is: huh? Surely we should preserve comments, especially in stored procedures, no? Well, the obvious answer is that the parser has to spend time skipping over them, but I doubt that the effect is significant nowadays. The better answer is merely that behaviour changes are serious so let's leave this up to the users. Our GUI client supports --comments too, which is no surprise since we support all mysql-client options that make sense in a GUI. * Ignore comments outside statements, on separate lines? * Ignore comments at the end of statements, on the same line but after the semicolon? * Ignore comments inside CREATE PROCEDURE/FUNCTION/TRIGGER/EVENT, but not in the body? The test should be updated now that compound statements in MariaDB don't have to be inside CREATE PROCEDURE/FUNCTION/TRIGGER/EVENT. Steve McConnell's "Code Complete" book advises: "A common guideline for Java and C++ that arises from a similar motivation is to use // synax for single-line comments and /* ... */ syntax for larger comments." I guess that the equivalent for SQL purposes would be to say: use -- for single-line comments and /* ... */ for longer ones. But don't use #, and be wary with standalone or endline comments, and turn --comments on. In an earlier blog post I predicted that ocelotgui, our GUI client for MySQL and MariaDB, would be beta in February. Now it's February 29, so I have to modify that to: "any day now (watch this blog for updates or click Watch on the github project page)". The latest feature additions are in the downloadable source code, by the way, but not in the binary release. pgulutzan, February 29, 2016. Category: MySQL / MariaDB, Standard SQL. Let's look at how well MySQL and MariaDB support privileges (part of "access control" in standard terms), compared to other DBMSs, and consequences thereof. I go to the DBMS manuals (here and starting here and here) and I count the privileges. This is like judging a town by the number of traffic lights it claims to have, but I'm trying to get an indicator for how granular the DBMS's "authorization" is. Pretty small number in the first column, eh? There are historical reasons that MySQL was reluctant to add new privileges, illustrated by Bug#43730. What is the effect of having a limited number of privileges? Sometimes the same privilege has to be used for two different things. For example, the SUPER privilege is good for "CHANGE MASTER TO, KILL, PURGE BINARY LOGS, SET GLOBAL, and mysqladmin debug command", while the PROCESS privilege is what you need for SHOW PROCESSLIST -- but also for selecting from information_schema.innodb_sys_tables. Why is this a flaw? If administrators want to allow access to a goose, they are forced to allow access to a gander as well -- even when the gander is none of the grantee's business. As an example that affected us: to make Ocelot's stored-procedure debugger work, we have to be able to set values in a single global variable, which is impossible without the SUPER privilege, therefore to allow people to use the debugger you have to allow them to purge binary logs too. INSERT: perfect support, including column-level grants. UPDATE: perfect support, including column-level grants. SELECT: perfect support, including column-level grants. REFERENCES: perfect support, not including column-level grants. I think this is not well known yet. Deep in the caverns of the manual are the words: "The REFERENCES privilege is unused before MySQL 5.7.6. As of 5.7.6, creation of a foreign key constraint requires the REFERENCES privilege for the parent table." Kudos to MySQL. The MariaDB manual, on the other hand, still says the REFERENCES privilege is "unused". For some background about this new feature, click the high-level architecture tab in the old worklog task Foreign keys: reference privilege. USAGE: no support. In standard SQL, USAGE is for access to domains or UDTs or sequence generators or transliterations or character sets or collations. In MySQL/MariaDB, USAGE is the minimum privilege -- you can log in, that's all. So USAGE is unsupported, but unimportant. UNDER: no relevance. This is for optional UDT features. Looking at the down side, MySQL and MariaDB don't allow for the standard GRANT OPTION. Yes, they have a GRANT OPTION privilege, but that's not standard -- what's needed (and what's supported by the other serious DBMSs) is an option to grant a particular privilege, not a privilege to grant any privileges. The objection about having hundreds of possible privileges is: it's hard to keep track of them, or even remember what they are. This should be a solved problem: allow a package of privileges, in other words support CREATE ROLE. This time the kudos go to MariaDB which has allowed roles for over two years. But what if you have MySQL and it's tedious to grant multiple times? It's still simple. You either make a script which contains a bunch of GRANT statements, or you create a stored procedure. Certainly I'd recommend a stored procedure, because it will be "inside the database", and therefore subject to tracking. Scripts are a tad more dicey security-wise, since changing or deleting files is a process outside the DBMS's control. After all, doing grants via an insecure mechanism would kinda mess up the idea of using grants for extra security. There is a standard and reasonable way to get at metadata: you can see the information_schema table, but you won't see rows for database objects that you don't have access to. MySQL and MariaDB follow this plan, but there is a major exception: InnoDB. Consider INNODB_SYS_TABLES, which has information about other tables. Of course this table should not exist at all (the sensible place is information_schema.TABLES), but the more troubling fact is that the relevant privilege is not "whether you have access to the other tables", but -- wow -- the PROCESS privilege. And to top it off, in MySQL (though not MariaDB) instead of an empty table you get an error message. The important prerequisites are: MySQL 5.7.9 compiled from source, a new installation, and an unprivileged user. It doesn't seem to happen under any other circumstances. So this is not a vulnerability alert. I like to show it, though, as an illustration of the punishment that awaits violators of the precepts of privileges. mysqld: /home/pgulutzan/Downloads/mysql-5.7.9/sql/sql_error.cc:444: void Diagnostics_area::set_error_status(uint, const char*, const char*): Assertion `! is_set() || m_can_overwrite_status' failed. As this is a crash and something is definitely wrong, the information collection process might fail. I don't think it would be fair to end this without confessing: us too. For example, the ocelotgui GUI client for MySQL and MariaDB can crash if I ask it not to send /* comments */ to the server, and there is a very long comment at the end of a statement after the semicolon. We are all sinners. However, that bug, and a few minor ones, have been found during alpha tests. I'm still hopeful that we'll go beta within a few weeks, and invite anyone to try and find an embarrassing problem before that happens. The readme and the download are on github at https://github.com/ocelot-inc/ocelotgui. pgulutzan, February 16, 2016. Category: MySQL / MariaDB. It has been seven years since the last time I blogged about generated columns, and a lot has happened -- now both MariaDB and MySQL support them. So it's time to look again, see how well they're doing, and compare to the SQL standard's Optional feature T175 Generated columns. This is not an introductory description or an explanation why you'd want to use generated columns rather than (say) triggers and views. For that, I'd recommend the relevant manuals or the blog posts by Alexander Rubin and Anders Karlsson. The above side-by-side BNFs show the standard syntax and the syntax that MariaDB and MySQL actually allow at the time I'm writing this. The MariaDB manual says incorrectly that either VIRTUAL or PERSISTENT is mandatory. The MySQL manual suggests incorrectly that the clause order is fixed, and has a typo: there should be two "]]"s after "STORED". The first important deviation from standard SQL is that "data type" is not an optional clause in either MariaDB or MySQL. The data type can be figured out from the type of the expression, after all. The second important deviation is that [GENERATED ALWAYS] is optional and there's a way to say whether the column is virtual (column value is generated when it's accessed) or persistent/stored (column value is generated when it's set, and kept in the database). I call this a single deviation because it's got a single backgrounder: compatibility with Microsoft SQL Server. In fact the original title of the worklog task (WL#411) was "Computed virtual columns as MS [i.e. Microsoft] SQL server has". We changed it to "Generated columns", but the perfume of Microsoftness lingers, and you'll see traces in the vocabulary too. For example, MariaDB has an error message: ""HY000 A computed column cannot be based on a computed column". So the tip sheet is: for the sake of compatibility with the standard rather than with Microsoft, always say GENERATED ALWAYS, and call it a "generated" column not a "computed" column. It's okay to say VIRTUAL, though, because Oracle does. "Every column reference contained in [the generation expression) shall reference a base column of [the same table]." "[The generation expression] shall be deterministic." This is pretty reasonable, and both MariaDB and MySQL comply. "[The generation expression] shall not contain a routine invocation whose subject routine possibly reads SQL-data." This is reasonable too, but MariaDB and MySQL go much further -- they forbid every user-defined function, even if it's declared that it's deterministic and reads no SQL data. "[The generation expression] shall not contain a query expression". In other words, GENERATED ALWAYS AS (SELECT ...)" is a no-no. Again, reasonable, and I doubt it will occur to anyone to try. * MariaDB has some restrictions about foreign keys that MySQL doesn't have. If you're thinking "whoa, that shouldn't be right", then I'm sure you'll understand why MariaDB doesn't allow this trick. In the standard there are two relevant INFORMAIION_SCHEMA columns: IS_GENERATED and GENERATION_EXPRESSION. 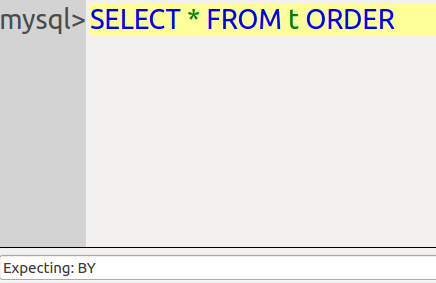 In MySQL all we get is a value in the EXTRA column: "VIRTUAL GENERATED". In MariaDB also we get a value in the EXTRA column: "VIRTUAL". I'd say that both implementations are deficient here -- you can't even see what the "(expression)" was. Both MariaDB and MySQL have slight flaws in their implementations of generated columns, but my complaints here shouldn't cause worry. Both are robust, as I found out by wasting time looking for bugs. This feature can be used. In my last blog post I may have been over-confident when I predicted ocelotgui (our GUI for MariaDB and MySQL) would allow multiple connections and go beta this month. We will have something that, I hope, will be far more exciting. pgulutzan, February 4, 2016. Category: MySQL / MariaDB.